For a start the $25 version IS NOT AVAILABLE You need to buy the more expensive version. That’s the $35 version. That’s a WHOLE EXTRA $10. $10 will feed a village in Nigeria for 30 years! FACT!!! You need a monitor of some kind. The Raspberry Pi DOES NOT COME with a monitor. A decent monitor will cost you $100! Already that is $100 on top of the cost. You need a mouse, that’ll be $10. You need cables. Good HDMI cables from a high street store can be $40. The thing DOESN’T EVEN HAVE A CASE!!! You need to get a proper case for it WHICH THEY DON’T EVEN SELL!!! You need to pay for a designer case which you then have to pay a production company to build. This could costs $100s!! Let’s say $250 unless people sell them on ebay for $15 which they probably don’t. Including postage my Pi cost £30. It’s a dev device. It’s aimed at educating people and helping to forge a new generation of geeks and engineers. Not a cheap PC to replace a laptop or desktop machine for your to run the latests Office software or your Steam library. It’ll run Windows if someone gets the Windows 8 for ARM running on it, but it’s not designed with that in mind. It won’t run Office. It’s not supposed to. It’ll run vi or geany. Or Emacs if you are that way inclined. 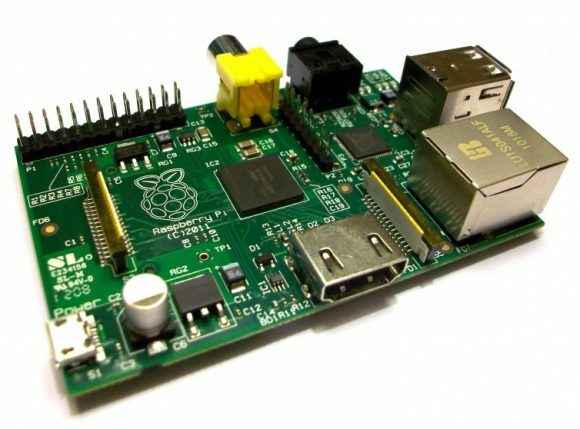 If you get Microsoft Office 2010 running on a Raspberry Pi then you’ve done extremely well and you’ll need to write up a full guide for the rest of us. Which we’ll ignore, because the last thing we want to run in our personal time is bloody Microsoft Office. Anyway, the actual cost: £30 delivered. I need to put a Linux of some kind on an SD card. SD cards are extra but I have spares in a drawer. So do you. No you do. Really. You got one with virtually every phone you’ve bought in the last ten years. Unless you’ve been buying iPhones in which case you’ve no right to be penny-pinching. It also needs a keyboard. I’ve got one upstairs in a box. It’ll do the job. There’s about fifteen of them in that skip behind the office building down the street. If I get SSHD set up I won’t need it, or a mouse. I’ll log in from my PC, or my phone, or your phone. It’ll plug into a TV. Like old home micros from the 80s used to, only with better output, possibilities and no need to load from cassette. Though that part is possible, if you really want to and you are into that kind of retro masochism. HDMI cables are £29.99 in Curry’s or PC world. If you buy them there then you are an idiot. I bought one on eBay for £3. It’s fine. They probably sell them in the local pound shop. I’m not desperate enough for that though. the people there scare me but if you buy all your kit in Curry’s or PC World then the Raspberry Pi is not for you. Stick to the £700 laptop package the sales rep tells you that you need to buy to help him meet his sales targets for that week. If you don’t have a HDMI TV or monitor then it’s got a composite port. So does that old TV in the garage, you know the one you planned to give to a charity shop or take to a dump? They actually do. Oh wait. No, it’s $5. well mate, this is nothing but bull. it connects to your tv!! im sure you have a mouse and keyboard laying around as well as if your in a modern, digitalised age, a HDMI cable!! cases do not cost you $100 !!! they cost £4 from RS components, the guys who ship the pi’s!! its not a flash drive, its a SD card, which is £10 at the most!! the price theyre saying is for the board, you have to be a normal person to have one you a**hole. Yes, it is bull. Which was the point of the post. Maybe you should have read to the end before posting your vitriol. in fact, you’ve missed the point so much that you’re in a whole other part of the galaxy than the point. for £45 with delivery i got a pi a year ago for my tv to use with xbmc. it’s been nothing but remarkable. you’ve missed the point so much that it’s comical. As I wrote in the article I paid £30 for mine, delivered. I’ve since bought another three. Same price. What point have I missed? Did you not say… “So how much is that to get this “$25 PC” actually up and running like a normal PC? $485! Lets call it $500 to cover things we’ve forgotten.And it doesn’t even run MS Office.” ? No. I was paraphrasing what I’d read elsewhere. That would have been clear if you read the entire post before commenting. Which you obviously didn’t. Your layout is confusing.. I’ve read it a few times it’s difficult to know if you’re for or against the pi. Too confusing for me to spend anymore time on. Enjoy your three raspberry Pi’s. 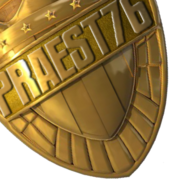 I’m not normally one for posting a comment, but I find it quite hard to believe that 4 people have commented, believing that the post by praest76 was the exact polar opposite of the point he made! How did you guys come to the wrong conclusion? “Too confusing for me to spend anymore time on” – do you find the game of ‘Snap’ too confusing too?